Chinese energy and climate-change policies continuesto be at the forefront of FNI’s research agenda, with several research projects relating to environmental issues in China. There was thus a lot to talk about when a high-level delegation from Shanghai Municipality visited FNI this September. 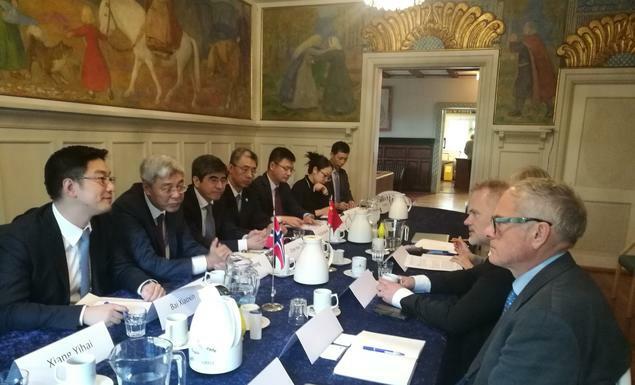 The delegation was headed by CPC Deputy Secretary Mr. Yin Hong, who underlined the many common interests between Norway and China, as both are ocean countries. He expressed interest in FNI’s research as well as its experience in carrying out policy research. FNI has a history of cooperating with universities and research institutions in Shanghai. 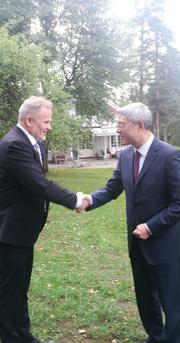 There are many issues of common interests between Norway and China and I look forward to continuing and strengthening cooperation with research institutions in Shanghai,' said FNI Director Geir Hønneland. During the visit, Hønneland gave an overview of FNI’s research on international environmental, energy and resource management politics and law. 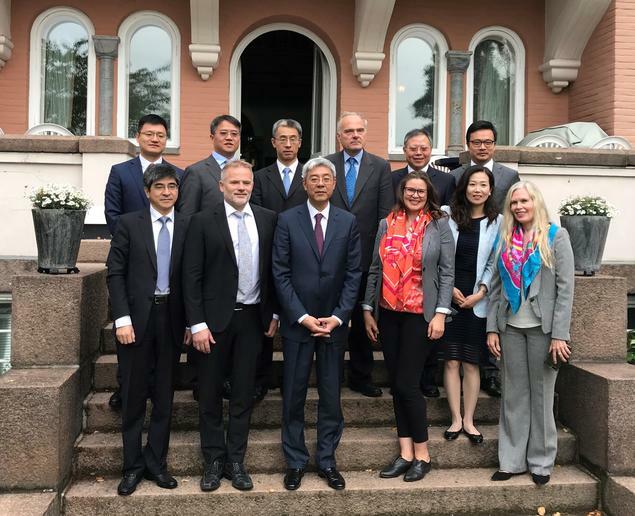 This was followed by briefings on Arctic research by Senior Research Fellow Arild Moe, and on China’s environment, energy and climate change policies by Senior Research Fellow Gørild Heggelund and Research Fellow Iselin Stensdal. In addition to Deputy Party Secretary Mr. Yin Hong, the delegation consisted of members from Shanghai Municipality Science and Technology Commission, Shanghai Municipal Government representatives and Shanghai Institutes for International Studies (SIIS).